With no artificial flavors, coloring or preservatives, there’s nothing in our products that is bad for you, and it’s made that way for a reason. Why? So You’ll enjoy the robust flavor of our All Natural Beef Jerky and not be worried about counting calories and watching your cholesterol. 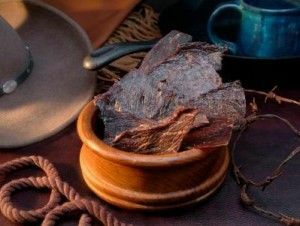 When you bite into a piece of Blue Ridge Beef Jerky we want your first impressions of our products to be dominated by the sweet, cajun, smokey or spicy flavor of the jerky Don’t worry, that lingering aftertaste you experience is completely normal, and the very reason you continue to come back to us. It’s not just All Natural, it’s completely addictive. Around the world,meat from wild animals is also sometimes used to make jerky. Wild animals such as Deer, Elk, Caribou, Kudu, Springbok, Kangaroo, Bison, Alligator and Moose are all popular meats of choice, depending on where you are in the world. We offer a large variety of these meats. Please stop by for a taste.